Fans of Hallmark movies and sweet stories of first love will adore Callie Henry's new series! 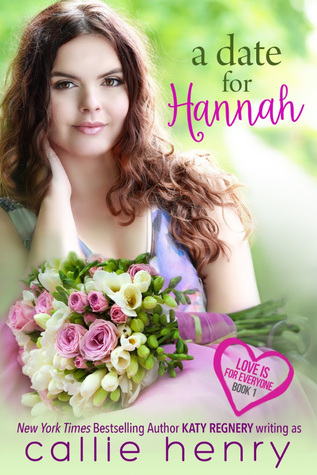 High-schooler, Hannah, has always been self-conscious about her weight, so when hottie swimmer, Liam, pays her extra attention at her sister's wedding, she has a hard time trusting his interest. Throughout the evening, Liam's charm wins her over, until they're falling hard for each other. But the next day, Hannah learns something that may ruin it all. Hannah is a sweet and loyal girl who has a serious complexion due to not being thin as dictate aesthetic standards, because of that she has developed a problem in trusting the boys who approach her. Arriving at her sister's wedding and finding cute and friendly Liam willing to be her company during the wedding, she is a little suspicious but soon becomes charmed by the boy's way with many affinities with her. Right from the start, I thought it was going to be another book of these adolescent cliches, but Calle surpassed me with a light and funny story that made me stuck to the book until I knew how everything would end. 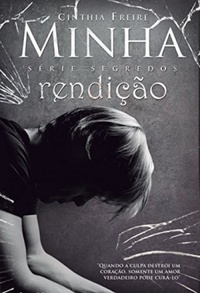 I liked the plot, the characters, how everything was conducted until the beautiful ending and especially the cover. I'm sick of covers with people and without effects but this one simply could not have been better chosen for the book. I just did not give 5 stars because I found it a bit repetitive that Hannah thinks all the time that she's fat.